Any type of motor vehicle accident has the potential to be catastrophic, but none so much as an accident involving a large commercial truck. Truck accidents are more likely to cause serious injuries and deaths due to the sheer size and weight of big rigs, 18 wheelers, and tractor trailers. In many cases, truck accidents are caused by the negligence of truck drivers, trucking companies, or both. Tragically, innocent drivers and passengers of much smaller vehicles are the ones who have to pay for this negligence, sometimes with their very lives. At the offices of Joe Horrox Law, we are proud to assert the rights of those who have been injured by the negligence of others. When it comes to representing victims of tractor trailer accidents, Oak Hill, FL personal injury attorney Joe Horrox has the skill, knowledge, and history of success to handle even the most complex cases. If you or a member of your family has been injured in a truck accident, or if you have lost a family member in such an accident, he will fight to obtain every measure of compensation to which you are entitled under the law. Time is not on your side, however. Under Florida law, you have four years from the time of your truck accident to file a personal injury lawsuit. If you do not file your claim within that period, you forever surrender your right to do so. We urge you to contact Joe Horrox Law today for an evaluation of your truck accident claim. 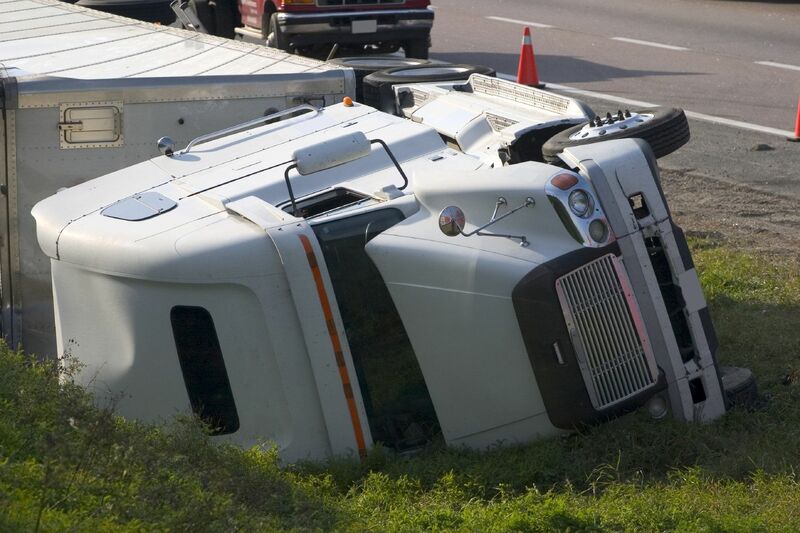 Rollover accidents: Rollover accidents are the most common type of accident involving tractor trailers. They can occur at any speed, including low speeds. Defective auto parts: If a tractor trailer accident occurs due to defective air brakes, defective tires, or another defective auto part, then the designer, manufacturer, marketer, or seller of the part may be held liable for damages. Depending on the nature of the defect, it may be possible for any or all parties to be held accountable in a court of law. Jackknife accident: Jackknife accidents are the result of trucks braking suddenly, which causes the trailer to swing outward and the cab to turn toward the trailer. Ride under accidents: These accidents occur when a truck brakes suddenly, causing the vehicle behind it to move forward under the trailer of the truck. Ride under accidents are often fatal for the driver and passengers of the smaller vehicle. Time is of the essence when it comes to collecting evidence and reconstructing accidents in a tractor trailer personal injury case. Don’t delay in arranging for your tractor trailer accident case evaluation. Contact Joe Horrox Law today. We would be pleased to advise you of your legal rights and options.